Some of us wait eagerly all year for the holidays and the jolly merriment that accompanies these few crazy weeks: the festive shindigs, the bottomless eggnog bowls, and the no-longer-so-ironic ugly sweaters. All of it might have you feeling like nothing can go wrong. But as much as you’re looking forward to the holidays, so are the bad guys. Yes, that dizzying schedule of end-of-the-year fêtes and last-minute holiday shopping means you’re out of your home more often than in it, providing would-be burglars ample opportunity to case your place. And whether you’re checking in at a winter ski getaway or Instagramming that sweet Black Friday deal you just nabbed, your social media profile is also alerting the world that nobody’s home. Don’t give the bad guys a holiday bonus! You can outsmart them and protect your home, as long as you know where you’re most vulnerable. Luckily, we’ve done the heavy lifting to gather security experts’ top tips to keep your home—and everything in it—safe during the busy holiday season. Nothing too earth-shattering here, but it bears repeating: If you’re going to be out of town, program your outdoor lights to switch on at dusk and off at dawn, keep your doors and windows locked, and set your alarm system, if you have one. If you’re going on vacation, some experts recommend keeping a car parked in the driveway so it looks like someone’s home. To prevent your mailbox from overflowing while you’re away, have your mail held until you return. In other words: Don’t make yourself a target. “Packages sitting outside your door are like a billboard that screams ‘no one is home,'” says Justin Lavelle, chief communications director for BeenVerified, an online background check platform. If you’re purchasing from a retailer with brick-and-mortar locations in your area, consider having your items shipped to the local store for pickup. If that sounds like a lot of work, most shipping providers (including UPS and FedEx) allow you to postpone delivery until you know someone is home. UPS and FedEx also allow consumers to leave directions for where to drop off packages. Also, make sure the path to your door is open, clear, and visible to neighbors and the street. 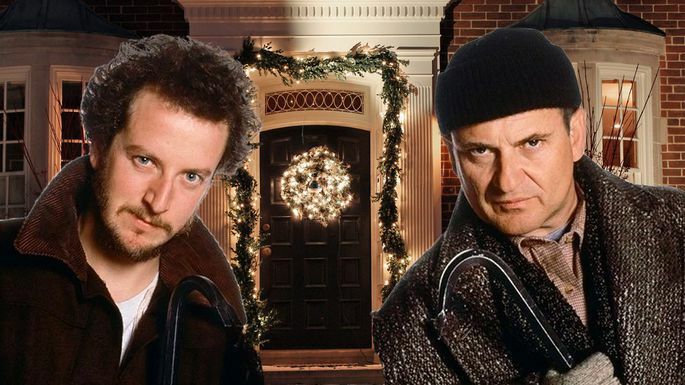 “If thieves can shield themselves behind large bushes and decor such as large blowups and Christmas trees, it’s that much easier for them to go unnoticed,” Lavelle says. Yes, we realize this is a tall order in today’s like-happy society. But trust us here: Smart thieves are watching not only your house, but also your social media channels. Be aware that when you trumpet that two-week holiday trip to Bali all over Facebook, you’re telling the world that your pad will be unattended. The same logic applies to sharing photos of your home and your stuff: They tell would-be burglars what else you have in your home and if there’s something worth stealing. And while you’re taking stock of your online profile, take a minute to adjust your privacy settings for event RSVPs as well. If you’ve been wavering on outfitting your home with the latest smart home technology, the holidays could be the perfect time to finally get on board. You’ll have the fun of a new gadget to play with, and the peace of mind that your home has some extra safeguards—even when you can’t be there. The options are virtually endless: Consider a smart doorbell (like Ring’s video doorbell), which detects motion and provides a view of your front door from your smartphone. Or try the Maximus Smart Security Light, which sends real-time push alerts to your phone so you can see and speak to who’s lurking on your porch—or sound an alarm directly from an app, if necessary. Want to control your lights with the swipe of a finger? Check out innovations like the Philips Hue smart lightbulbs, which allow you to operate your lighting from anywhere. And if you’re looking for an all-in-one smart security solution, consider a system like Nest Secure, which combines a variety of self-installable cameras, motion sensors, and alarms and poses a serious threat to traditional, clunkier alarm companies. Wood or glass can break easily under pressure from an intruder, says home security expert Sadie Cornelius of SafeSmartLiving.com. Consider upgrading your door to stainless steel. If that doesn’t jibe with your aesthetic, make sure your deadbolt requires a key on both sides. Smart locks (like those from Schlage and Kwikset) are easy to install and provide an additional layer of security from would-be burglars. And to better illuminate wannabe burglars, consider installing motion-detecting lights, which use little energy and are usually affordable. She recommends using a virtual private network, or VPN, when using public Wi-Fi to protect your online data from hackers. If you’re shopping online, be sure the sites are secure and have a valid encryption certificate (which you can usually spot with the green locked indicator in front of the site address). Ensure your system is running the latest security updates and antivirus software, and consider signing up for identity theft protection so you’re immediately alerted to suspicious activity on any of your accounts. Many banks will allow you to set up mobile push alerts for certain types of transactions or spending thresholds.